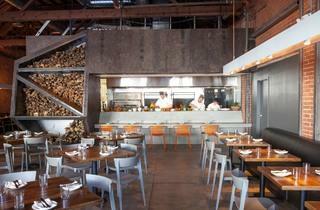 Chefs Karen and Quinn Hatfield put the grill into focus at this modern churrasco, where earthy entrées dominate and desserts are supreme. 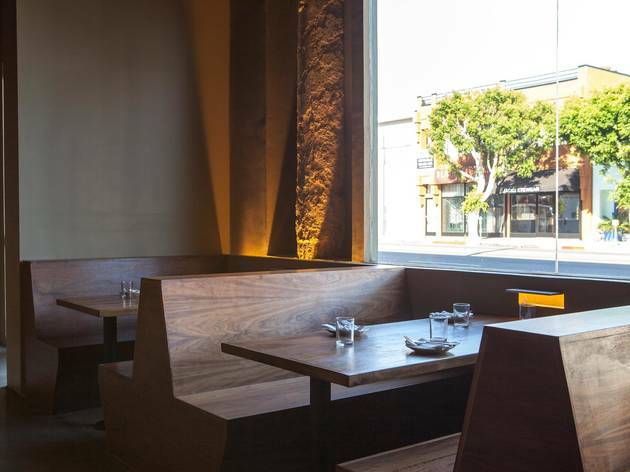 With Hatfield’s now closed—a critically acclaimed restaurant that remained at the helm of LA’s fine dining scene for eight years—chefs (and spouses) Karen and Quinn Hatfield wasted no time starting a new chapter. 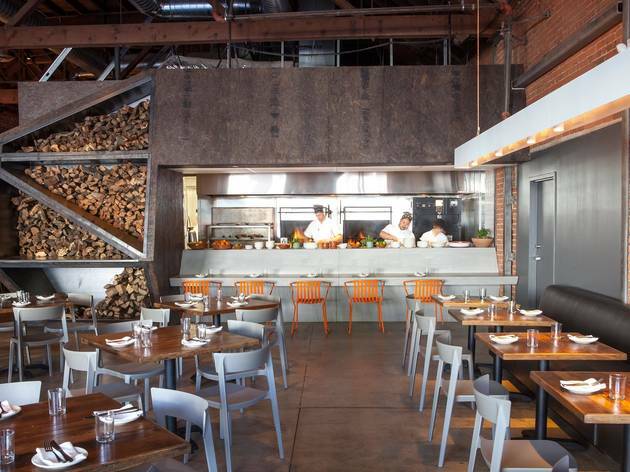 Down the street from their other successful restaurant and bakery, Sycamore Kitchen, another name now looks out onto La Brea: Odys + Penelope, a churrasco located in an old printing press. 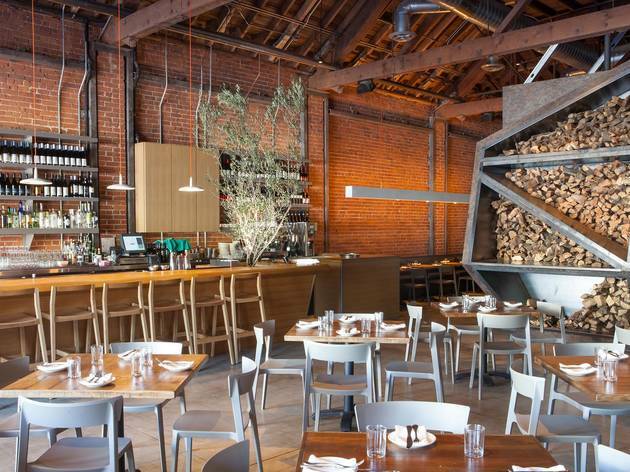 Inside, a masculine interior is solidified by the pile of firewood stacked high next to a chef’s counter, and the rustic smell emanating from the wood-fired smoker and an open grill hangs almost tangibly, sweetly in the air. The smoker and grill form how most of Quinn Hatfield’s dishes are cooked; “grilled” is a word that pops up on the menu more than any other (Another thing that pops up: plenty of entrées bordering or surpassing $30. 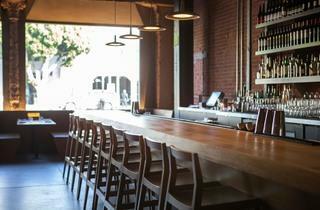 It may be "casual," but O+P is not cheap.). 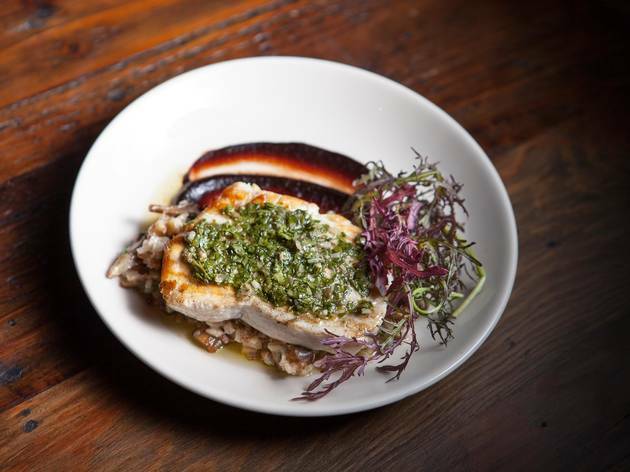 A grilled line-caught swordfish rests above a bed of soft barley and mushrooms, dressed in a salsa verde and cherry balsamic that transforms the slightly dry fish into a complex entrée. 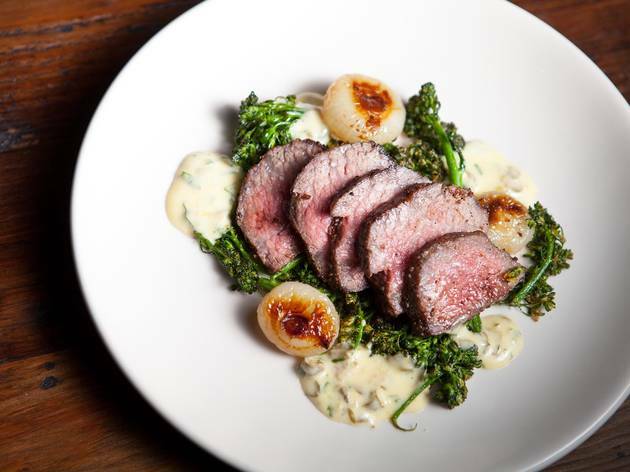 There is plenty of grilled meat, too, like a Wagyu tri-tip, a dark pink slab that melts under house-made bérnaise sauce and charred broccolini. 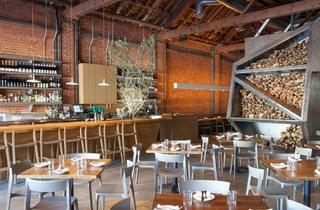 If it isn’t grilled or charred, the food still evokes an earthy, homey quality. 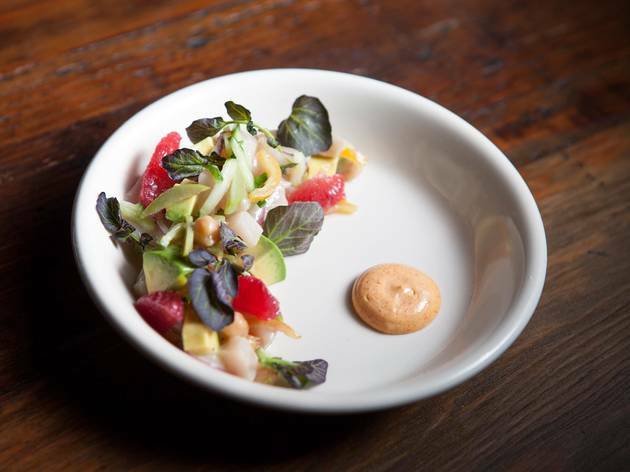 A plate of raw hamachi salad mixes chickpeas and avocado with the fish, and slivers of blood orange lend a touch of summer. 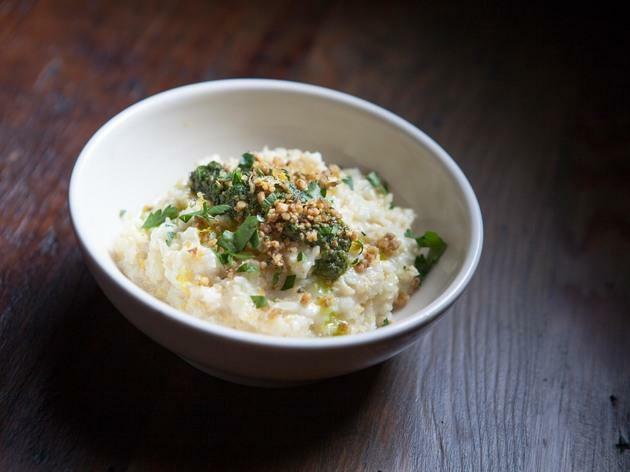 You think you’re over cauliflower, but then comes a bowl of O+P’s creamy cauliflower, with its dreamy, silken texture and dollops of walnut pesto plopped in the middle. 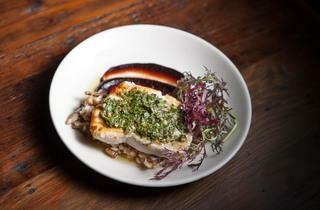 It’s a beautiful dish but please, oh please, don’t tell me how much butter was used to make it. 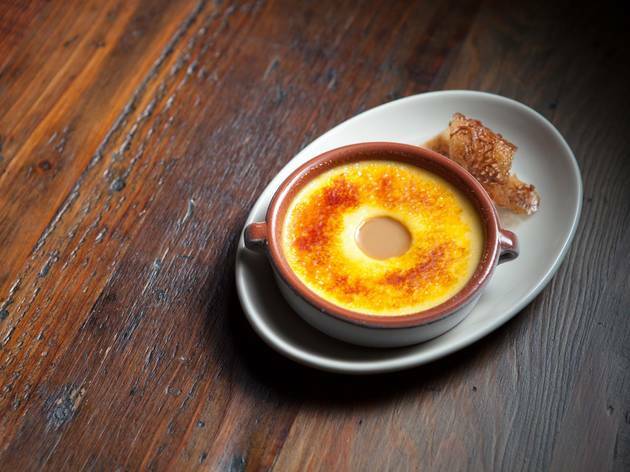 Tell me instead about that goat milk custard brûlée that Karen Hatfield makes, the one that arrives with a hole in the center filled with caramel-like cajeta to offset the powerful presence of the goat milk, a dessert that turns crème brûlée into something almost rural. Tell me more about that one, perhaps over a cappuccino while tables of well-heeled women and jacketed men order another drink, and people on the street peer through the windows to see what the Hatfields have created this time around. 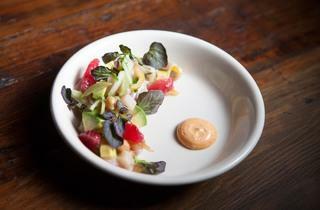 What to Eat: The hamachi salad ($16). 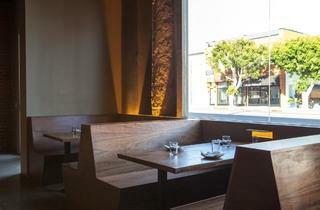 The slow grilled Wagyu tri-tip ($28). 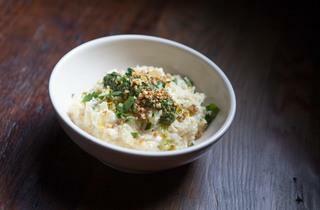 The creamy cauliflower ($7). 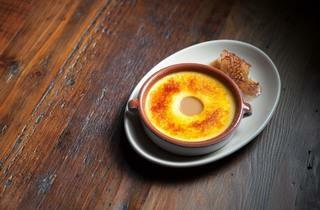 The goat milk custard brûlée ($10). 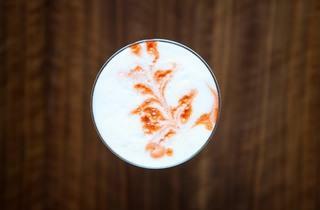 What to Drink: The Smoke Stack ($12) is O+P’s most popular cocktail, a glass of chipotle-infused tequila mixed with lime, agave and smoked salt. 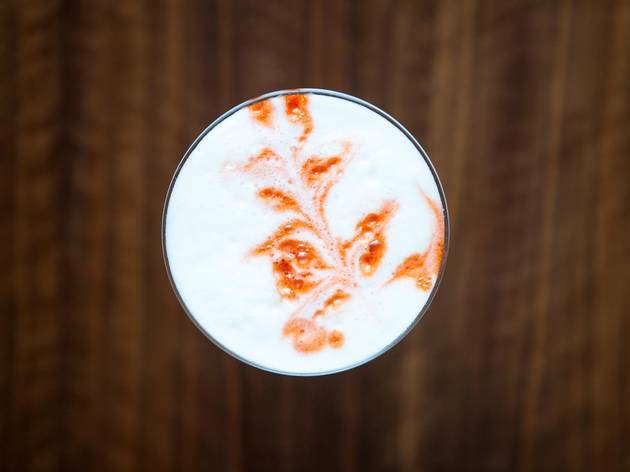 It has a potentially overpowering, kick, so for something more smooth opt for the Fino Sour ($12) made with Pisco, fino sherry, egg white and lemon bitters. 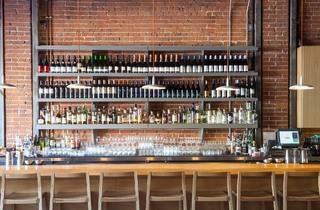 Sparkling, white and red wine is also available, along with bottled beer. 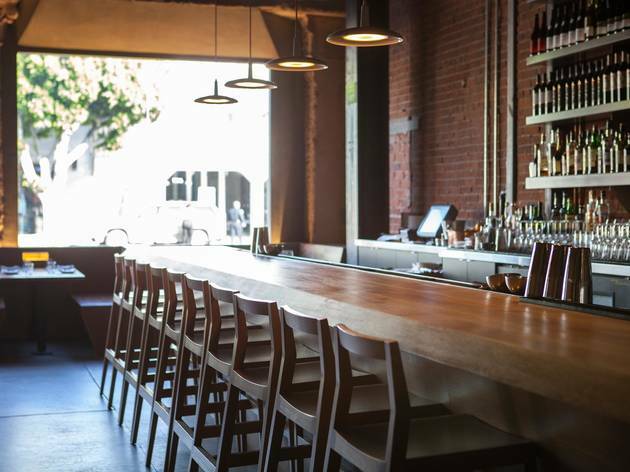 Where to Sit: A booth or table by the wall lets you see just how impressive the restaurant looks when it’s busy; a seat at the small chef’s counter lets you get even closer to the action. 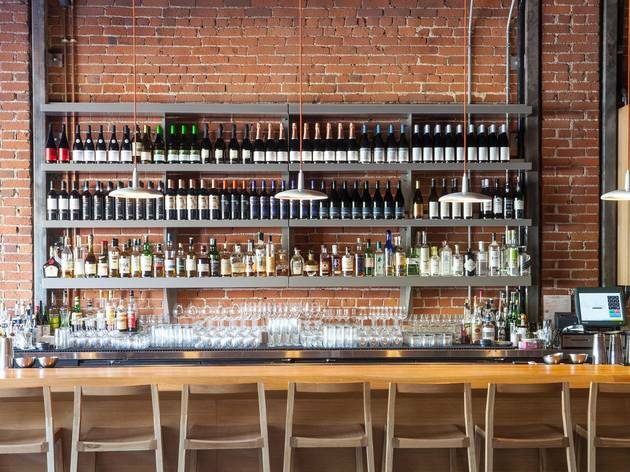 Don’t sit at the bar for dinner—while you can order from the full menu, having dinner here means increasingly tipsy diners will hover over you while waiting for a table.